Whenever I search for apps in Store. I just get a bunch of junk apps mixed in.. There's no perceivable order..
How do I sort by things like good-ness? Example: number of downloads, rating, trending, downloads with the last x days, etc? Or just a general "list the good ones first" like Android does... instead of scrambling the 1 star rating DOWNLOAD FREE WALLPAPER HERE website wrapper "apps" with the stuff that's relevant to my search query. Hi inertially and welcome to WPCentral. I'm not sure of the answer, but that is a good question. I'd be interested too, if someone knows if any filters are possible. It tries to sort by relevance. By relevance, I mean, Title>Description, then tries to give you as many high ratings as possible before you scroll. Occasionally, search also gives you names of apps as you type. If you tap this, more often than not, these aren't junk apps. And, no, there are no filters. Not even a simple, view Free apps only? Well I don't really consider the Relevance algorithm to be working then.. I see 2 stars apps mixed together with 4 stars apps on the first screen right after a search (at the top of search results). Err nevermind... title and description.... 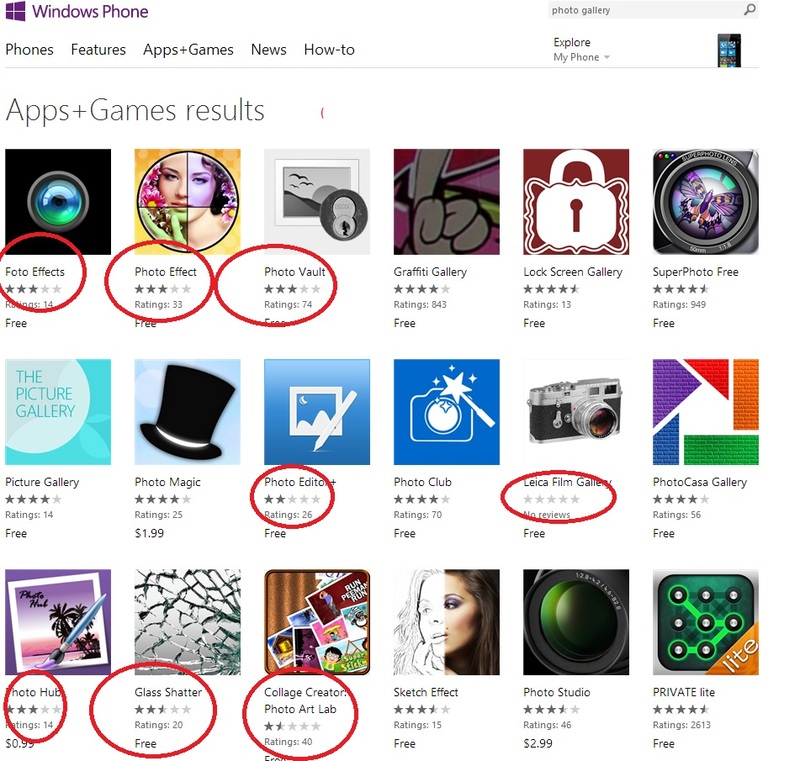 I guess that means that there simply aren't the apps I want on WP8. Even a simple "Photo Gallery" search bad apps as the top results. Is there an equivalent apps to "QuickPic" for Android on WP8.. I mean having the same feature set, specifically the option to view more details on photo (Size, date taken, etc, EXIF data). Last edited by inertially; 07-27-2013 at 12:16 AM. You're definitely right; I don't think it sorts them by relevance, and if it does, it does it incredibly poorly. If I search specifically for "myTube", this is what I get. Note that myTube appears 16th(!) on the list! WTF?! Ridiculous. There are filters, so to speak. On the store's main page you can get a list of "New + Rising", "Top Free" and so on, but you can't apply those criteria to a manual search which is a bizarre oversight. Full body protector similar to invisible shield? Samsung Focus to Lumia 520?